Ampai Thammachack wants every girl to feel that she’s special. After directly experiencing suicidal thoughts and sudden poverty as a teenager, Ampai was moved to found two charities dedicated to helping people in the same situations. She’s a passionate mental health advocate, an activist against systemic racism, and a proponent of young people on their journey toward self-love. For someone so committed to showing others their self-worth, we think it’s pretty important to point out how special Ampai is herself. What motivated you to start Step Above Stigma as well as The Glass Slipper Organization and make them what they are today? In high school, many factors resulted in me losing my self-worth. At the time, I didn’t know I needed help. That changed one morning when I broke down at school. My guidance counselor pulled me into his office where I proceeded to tell him that I did not want to live anymore and, as a mandated reporter, he helped me see a social worker. My mother signed me up for counseling as well and, after seeing a counselor for a long time, my mental health improved. But I never forgot the hard times. That was why I founded Step Above Stigma (SAS). We sell socks that say “Step Above Stigma” on the sole with a semicolon and a heart on the leg, symbolizing resilience. Our hope is to raise $1,000,000 for mental health initiatives, shorten wait times, and advocate for mental health awareness. It was also in my teen years that my family lost everything we had. However, my community always supported us through everything. When prom season came, it was clear that there were many with similar pasts. After my experience, I wanted to make sure others could have their Cinderella moment too. When I founded the Glass Slipper Organization (GSO), I wanted to create something that could make others feel loved and supported, just like I felt. In the last 4 years we have given away over 500 dresses to girls in need, and hope to give away many more. What have you learned through the process of founding and maintaining two charities? I learned that the success of a charity is dependent upon having a vision and loving a cause so much you would do anything to make change. I learned that success starts from the top, that passion is contagious, and that nothing can be done without a team that has the same dream. I owe it all to my Senior Vice President of SAS, Aly Bonner, and the GSO co-founders, Stephanie Manuel, Lynda Ofume and Anna Negulic. However, what I learned most is that perseverance can turn a dream into so much more if you make small goals and never let go of what you believe in. Why has your involvement with Step Above Stigma and the Glass Slipper Organization been so instrumental in your life? My involvement makes every hard time worth it. I hope that SAS and GSO help prevent others from having the same experience I had. My involvement has helped me grow emotionally and professionally and has enabled me to interact with so many amazing people. Most of all, my involvement has given me a purpose: to hopefully change the mental health care system for good, and to make as many girls as possible feel special. What is your goal for The Glass Slipper Organization in the next couple of years? My goal is to spread so much awareness about GSO that it becomes an integral part of every high school across Canada. I hope that receiving a dress from GSO will become something normal that anyone in need can feel proud of. I want it to be an accessible option for anyone in a difficult situation. However, my number one priority is to make sure that anyone receiving a dress gets to feel like a princess for a day no matter what their situation may be at home. What’s been a major challenge that you have overcome in your life so far? From high school until my first year of university, I struggled badly with self-confidence, body dysmorphia and self-love. I would beat myself up every day mentally, and sometimes physically, because I truly believed I was not good enough for certain people or my dreams. It was not until I learned that mental health care existed and was able to get help that I learned to be my best friend. I am thankful to say that I am now a resilient, young woman who will stop at nothing to achieve my dreams, appreciate everything I have, and stand up against those who hurt others. What would you say mental health is, and how can college women fight to end the stigma surrounding it? Mental health is something that encompasses who you are beyond your personality. It is the most pervasive component of your being and is something everyone has. Your mental health dictates how you coach yourself through life. College women can fight to end the stigma surrounding mental health by normalizing it and being an advocate. Showing that you truly care is easy, yet so impactful. Always check in when you sense something is wrong. The most you could do is save a life, and the least you could do is show someone that you care and make their day better. You’ve mentioned instances of racism on your campus. How do you hope to combat racism on your college campus through your university’s African Caribbean Student Association, and what advice do you have for other students of color experiencing racism on their college campuses? I think the best way to combat racism on campus is education, exposure to other cultures, and intersectional collaborations between campus organizations. As a captain of the African Caribbean Dance team and executive board member, we have events such as Soul Food Sundays that encourage students from all walks of life to bond and learn within our community. Our team also performs cultural dances across campus to spread awareness through energy and passion. 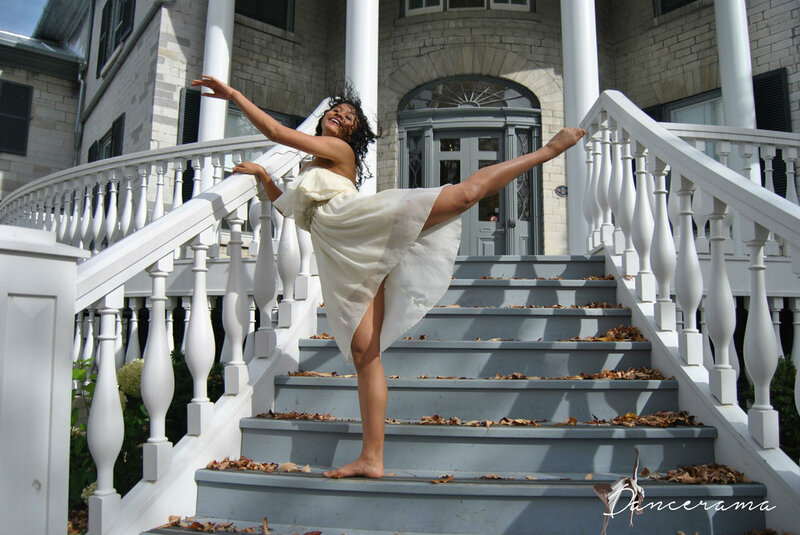 Our hope is to engage the Queen’s community by telling our story through dance. However, I think the most important thing we can fight and recognize as college students is systemic racism. It is critical to always speak up eloquently when you know you are being treated unfairly. My advice to those experiencing racism on campus is to remember your worth and know that you are beautiful, especially because you are different. Be proud that you have fought and continue to fight for equality as a minority. Get involved in a group of individuals with the same culture and if there is not one yet, start one! Most importantly, when experiencing racism, react calmly and stand up with kindness and eloquence. What advice would you give to other college students who are struggling with their own mental health? You deserve help, even on good days. There should be no difference between going to get a check up for the flu or your mental health. Both are equally important to light your fire. Try your best to open up to someone you trust, someone you know who has seen a counselor, a mental health advocate or a hotline. You’ll be surprised at how many people have had a similar experience. Unfortunately, you may have to wait a long time for your appointment. Therefore, it is very important to keep in contact with someone who can empathize with your situation. If you feel alone or if you feel that others may not understand, the hotlines available are amazing resources and are willing to listen 24/7. Most importantly, you do not deserve to get hurt by anyone, especially yourself. In your most hopeless moments, be aware of your negative thoughts and talk to yourself like you would talk to someone you love. You deserve the best. Be the girl who decided to take hold of her future and go for it.